Today (March 20) is late Linkin Park singer Chester Bennington’s birthday, and it’s being celebrated to help promote mental health awareness. 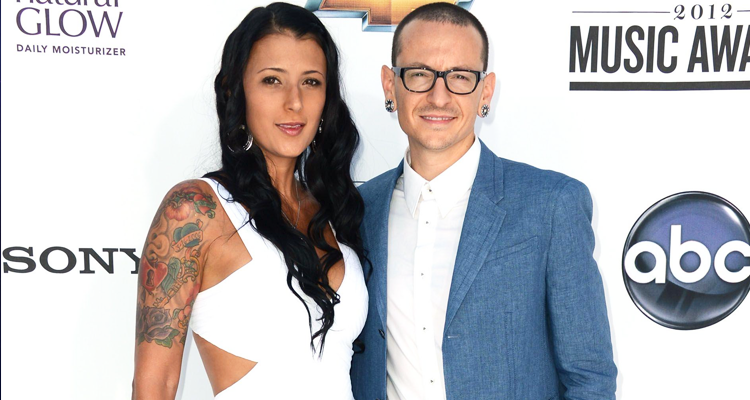 Bennington’s widow, Talinda Bennington, is spearheading an online campaign for fans to spread around the world. “On Chester’s birthday, I ask that you post a picture of yourself holding up your hand, which symbolizes you know the Five Signs,” she said in a press statement, referring to the Five Signs of Emotional Suffering & the Healthy Habits of Emotional Well-being. The five healthy habits are: Take Care, Check In, Engage, Relax and Know. The five sings of suffering are: Personality Change, Agitated, Withdrawl, Poor Self-Care and Hopelessness. Talinda went on KROQ-FM’s The Kevin & Bean Show in L.A. this morning to talk about the initiative and how she became such a vocal proponent for mental health. Linking Park’s Mike Shinoda jumped on Instagram to show his support of the cause by sharing his own “I am the change” photo.